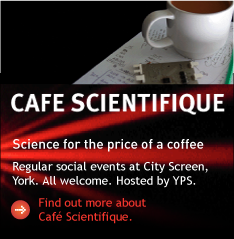 The Yorkshire Philosophical Society is the affiliated regional (North and East Yorks) branch of the British Science Association (formerly The British Association for the Advancement of Science). The British Science Association is a registered charity which exists to advance the public understanding, accessibility and accountability of the sciences and engineering. The British Association for the Advancement of Science was founded with the help of the Society and had its inaugural meeting at the Yorkshire Museum in 1831. The name of the organisation was changed to The British Science Association in January 2009. Members of the Association receive information about the YPS and can attend, free of charge, its lectures. YPS members can join the British Science Association, free of charge, by completing a membership application form or by applying on-line.